The Somatosensory System. This is the main brain sensory receptive area for the sense of touch. This system as a whole is extremely refined and very sensitive, allowing us to detect, feel and interpret a whole range of sensations. Touch is in fact not a single sense, but involves several different sensory experiences, including specific sensitivity to pain and temperature. 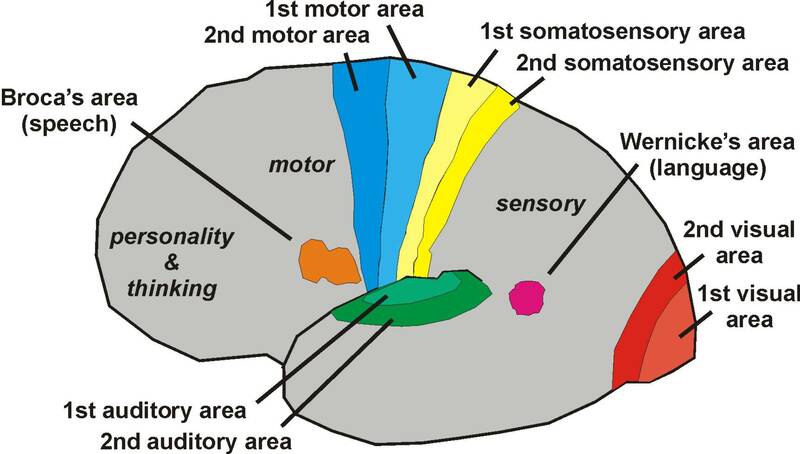 The Somatosensory Cortex area also handles information from other senses such as vision, smell and hearing. 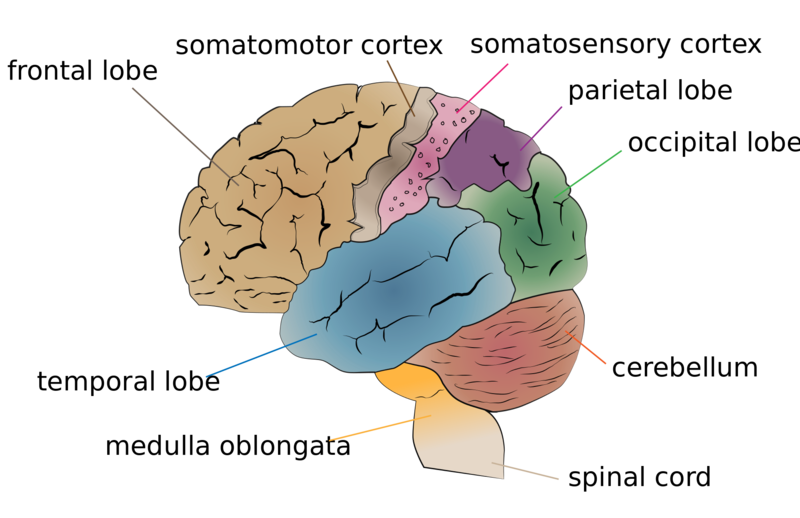 If this part of the brain is damaged through injury or disease you could experience problems relating to the sense of touch. This may take the form of loss of sensation in some body parts, insensitivity to temperature or an inability to recognize objects simply by touch. If neurological problems that interfere with sensation are identified, tests are always conducted to identify the source of the problem so that the appropriate treatment can be applied. The Somatosensory System and Smartphone link. The prolific use of smart phones has forced people to use their hands in ways never before used in the entire history of mankind. Recent research has shown that people who use touch screen phones are likely to develop a larger Somatosensory cortex – the area at the centre of the brain which controls the thumbs. Experts now believe that the more time spent fiddling with a smart phone, the bigger the link between brain and hand. It has been noted that the digital technology we use on a daily basis alters the form and function of the sensory processing in our brains. Are there any dangers relating to the altering of the Somatosensory system? Although the brain has long been known for its ability to adapt to particular situations, there are times when it becomes unable to adjust. As a result there are both benefits and potential dangers if the Somatosensory system is altered by overuse of the smart phone. 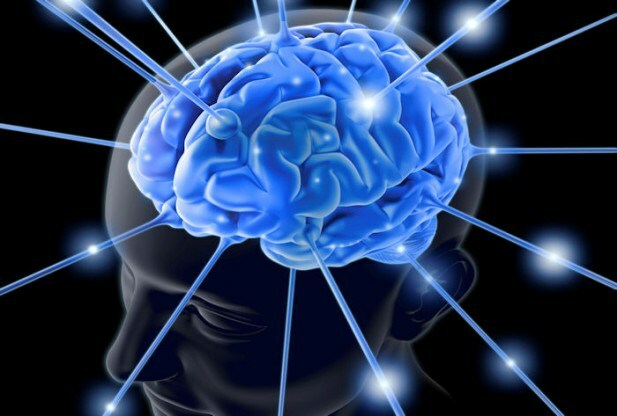 • A major benefit is the speeding up of the reaction time between the brain thumbs and fingertips, with heightened connection and sensitivity. • However, altering the size or shape of the Somatosensory cortex can lead to chronic pain in the hands, as well as a movement disorder such as dystonia that causes muscle spasms and contractions. The digital revolution. Like the Industrial Revolution of days gone by, the development of digital appliances has burgeoned unbelievably and touches everyone’s life. This is especially true of the digital phone, in particular the smart phone. Almost every child is the proud owner of one kind of phone or another, and those who only have the humble fixed button cell phone, all aspire to own a fancy smart phone. It is the young children of today who are most at risk for future problems as they blissfully use their smart phones for hours each and every day. For some there could very well be chronic pain and neurological movement issues lying in wait for them, if the overuse of smart phones is not controlled or reduced. If you have questions about maintaining a healthy lifestyle contact our specialists at Orthopedic Surgery San Diego today to help develop a program that is best for you.